New: from April 2018 on we offer a special place for management meetings and team building activities. 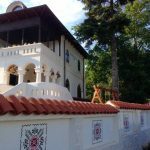 Casa Noelia, the annex of Grigorescu Mansion has a capacity for ca. 30 persons for meetings and 60 for team building and workshop activities. Combine your corporate event with local premium food from Terra Carpatica, the best wines from Dealu Mare area, a cooking show, a cooking class or a truffle hunt in the forest of Buzau. Please contact our partner City Compass Tours & Events for complete management meeting & team building packages (transport from Bucharest, accommodation, meeting at Grigorescu mansion, wine tasting in the Dealu Mare area, sightseeing or sport activities in the surrounding area (rafting, canoe, cycling etc. ).